Be Sharp discography and videography! 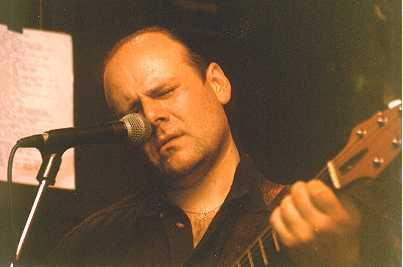 Where can you see a band play twice weekly, once with Geoff Whitehorn, and once with Prodigal Stranger Jerry Stevenson? 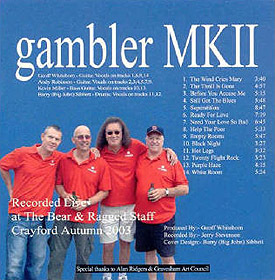 At The Bear and Ragged Staff, in Crayford: e-mail for details here, including orders for their new album (pictured) which costs 10 pounds (recorded in November 2003 and produced by Geoff).